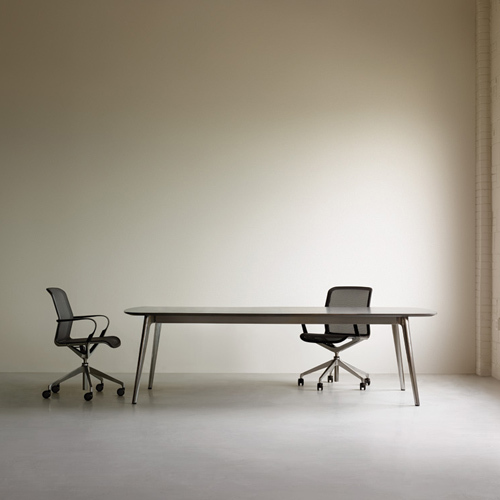 Filo is an elegant and versatile seating option for the conference room. 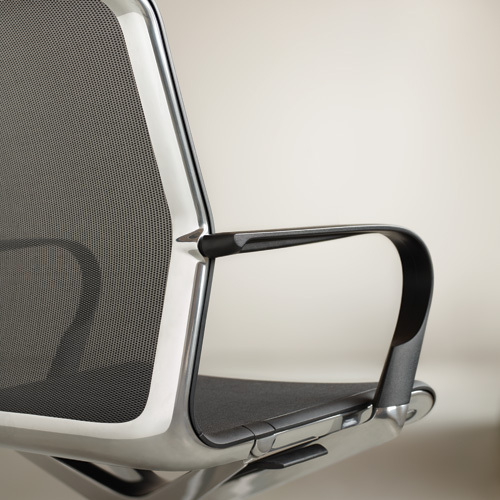 This mesh chair moves with the sitter naturally, using the inherent flex of the arms. The only adjustment is a discreet pneumatic height adjustment. Available in mesh back and mesh seat, or mesh back with upholstered seat. A companion side chair has a simple 4-star swivel base.